Those are just three of words that describe YOU and what Body By Sid is all about. It is about providing a service that makes you feel unique and special, as well as getting healthy. It is MORE than just a “workout”-you get an OUTCOME. The focus is on your goals. Your wants. Your needs. There is a sense of COMMUNITY that you will experience here. Things “happen” at BBS, and strong connections are made because what you get here is PERSONALIZED, and you will certainly have I can do it” mindset. Body By Sid offers weight management programs, supportive nutrition solutions through customized meal plans,highly effective smoothie/shakes, and workshops. With that, Body By Sid can address the other factors that will help you achieve your fitness goals more quickly and easily. BBS delivers an extraordinary experience! It’s personal. It’s you. You’re an individual. Yeah, it’s personal. And I take that literally when it comes to you.and me regarding your desired fitness goals. Transform your Life with the ViSalus Body by Vi™ 90–Day Challenge. Complete Balanced Nutrition for Better Health. Body By Sid group classes truly changes the dynamics of your ordinary group exercise! They are exciting and low to high energy. Body By Sid offers two exciting, challenging, invigorating and calorie burning bootcamps! Check them out and register today!…. 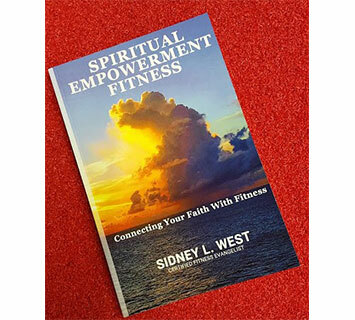 Body By Sid Is Here To Help You! 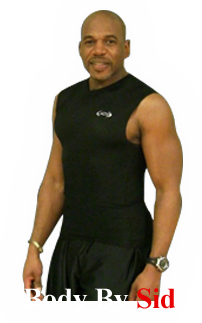 I offer the fastest, most effective, and affordable way to get fit in the Columbus, Ohio area,..
Yep, that's right! Zero workouts the same. I do not repeat the same type of work out! No two sessions are alike! My workouts are challenging and fun! High intensity interval training at its best! Your Body Mass Index is ___. You are considered ____.